United States’ citizens and green card holders may face some challenges when filing their Dutch and Federal income tax returns (“aangifte inkomstenbelasting”), but at the same time they may enjoy a favorable tax regime only available to them. How to file a Dutch income tax return as US national? 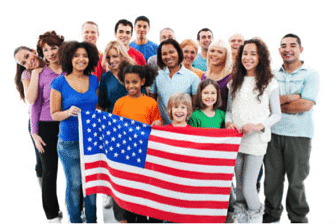 All US citizens and/or Green Card holders are required to file a US federal tax return and pay taxes to the IRS, regardless of where in the world they live or where their income is generated. The 30 percent ruling is a tax incentive for employees, recruited from abroad who bring specific skills to the Netherlands. It acknowledge the additional expenses incurred by expats (extraterritorial costs) by allowing the employer to grant a tax-free lump sum to cover these costs up to a maximum of 30 percent of the sum of wages and allowances. Please note that US citizens have to take up in the US federal tax return the total Dutch salary income including the tax-free lump sum of 30 percent. A US citizen and/or Green Card holder who has the 30% ruling can have an additional advantage by choosing to be considered as a partial non-resident in the Netherlands. In effect, this will lower the taxable Dutch income while keeping the US income tax due constant. The example below will explain how. Employee X has the 30 percent ruling. In 2016 he lives the whole year in the Netherlands and he is an US citizen. The taxable amount of his gross Dutch salary amounts € 70,000. The compensation for the 30 percent ruling amounts to € 30,000. Employee X travels a lot for his work. The total number of days he works in 2016 (240 days), he spends 130 days in the Netherlands, 100 days in Belgium and 10 days in the United States. Based on the special arrangement in the tax treaty between the Netherlands and the United States that applies to employees as a US citizen and/or Green Card holder who has the status as a partial non-resident taxpayer (with the 30 percent ruling), employee X may declare in his Dutch income tax return only his income based on the days he works in the Netherlands. It means that employee X has to pay the following tax in the Netherlands: 130/240 of his gross Dutch salary amounts of € 70,000 (i.e. € 37,917). In his US federal tax return he can claim an exemption for all his foreign income. The basis for the calculation of the gross Dutch salary exemption is including the amount of compensation based on the 30 percent ruling. Furthermore, there is no tax due on dividends and capital gains from foreign-based entities (box 2 on the tax return) or income from savings and investments (box 3). As with any type of investment, when you realize a gain, it is considered as income. Income is taxable. How much tax you pay depends on the period that you live in the Netherlands. When the stock option is vested and ultimately sold, capital gains taxes are paid based on the gains earned (the difference between the selling price and the purchase price). Thus, when an employee purchases stock (by exercising options), he or she will pay the tax on the spread between what was paid for the stock and the market price at the time of exercise. In the Dutch income tax return, you will only declared the capital gain/income as from the period that you are living in the Netherlands. You have to eliminate the period and/or days that you are living outside the Netherlands.